I’ve been enjoying the new panorama merge feature in Lightroom CC and have found that it generally does a good job of merging. But I have just had it fail to merge correctly for the first time. I wanted to use Lightroom to redo a merge of eleven frames I took in 2008 and had previously merged with AutoStitch to create the panorama below. When I merged the frames shown in the grid view below I didn’t get the result I expected. The frames are DNG files converted from Canon 30D raw files shot with a Sigma 18-125mm lens and the correct lens profile was applied before attempting the merge in Lightroom. Instead of something similar to the original merge, I ended up with this in the preview window, where it has taken frames from the left and tacked them on to the right. I tried to merge the left and right sections independently to see what would happen and while merging the seven rightmost frames produced what I would expect, merging the five leftmost frames didn’t. 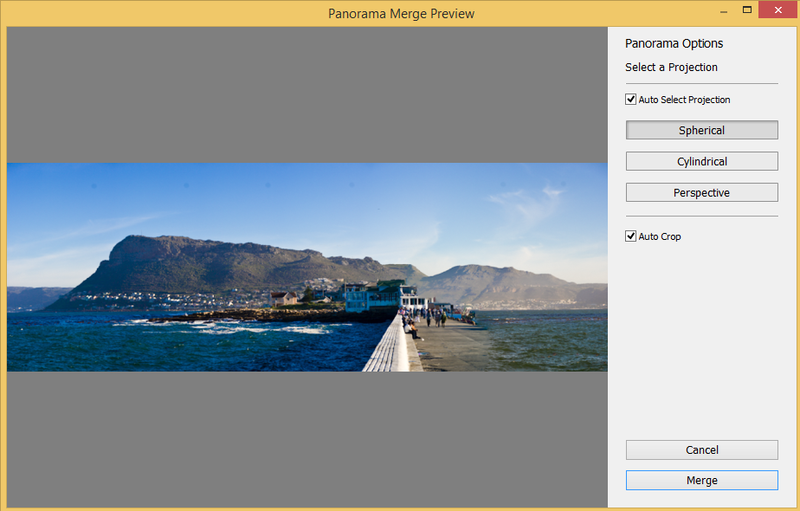 If you compare the merge preview of the leftmost five frames shown below to the section of the original merge overlaid on it, you will notice that an entire hill/mountain has been excluded from the merge that Lightroom did. 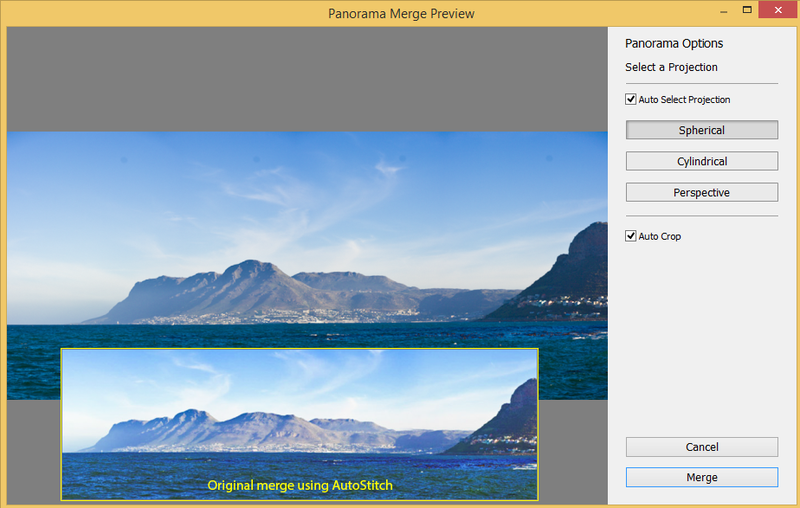 After some searching for Lightroom merge errors I found a thread suggesting that a panorama exceeding 32000 wide pixels would fail with an error, but in my case I receive no error and the resulting panorama would be far below the 32000 pixel limit; Lightroom simply generated a different panorama than it should. I would be interested to hear if others have experienced similar problems.